From the acclaimed New York Times bestselling author of All the Missing Girls, a suspenseful new novel about an idyllic town in Maine dealing with the suspicious death of one of their own—and her best “summer” friend, who is trying to uncover the truth…before fingers point her way. Littleport, Maine, has always felt like two separate towns: an ideal vacation enclave for the wealthy, whose summer homes line the coastline; and a simple harbor community for the year-round residents whose livelihoods rely on service to the visitors. Typically, fierce friendships never develop between a local and a summer girl—but that’s just what happens with visitor Sadie Loman and Littleport resident Avery Greer. Each summer for almost a decade, the girls are inseparable—until Sadie is found dead. While the police rule the death a suicide, Avery can’t help but feel there are those in the community, including a local detective and Sadie’s brother, Parker, who blame her. Someone knows more than they’re saying, and Avery is intent on clearing her name, before the facts get twisted against her. 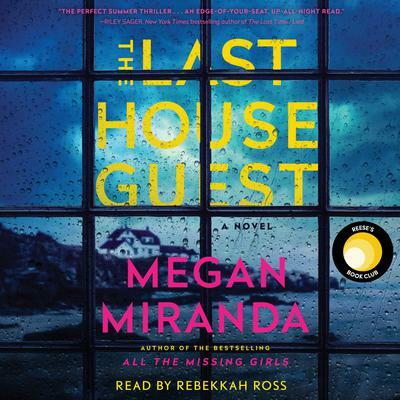 Another thrilling novel from the bestselling author of All the Missing Girls and The Perfect Stranger, Megan Miranda’s The Last House Guest is a smart, twisty read with a strong female protagonist determined to make her own way in the world.